storied cafe on route 66 in newberry springs, ca. according to propriestress andrea pruett, it was featured in the 1987 german-produced film "Bagdad cafe" starring jack palance. it was not a box-office blockbuster. 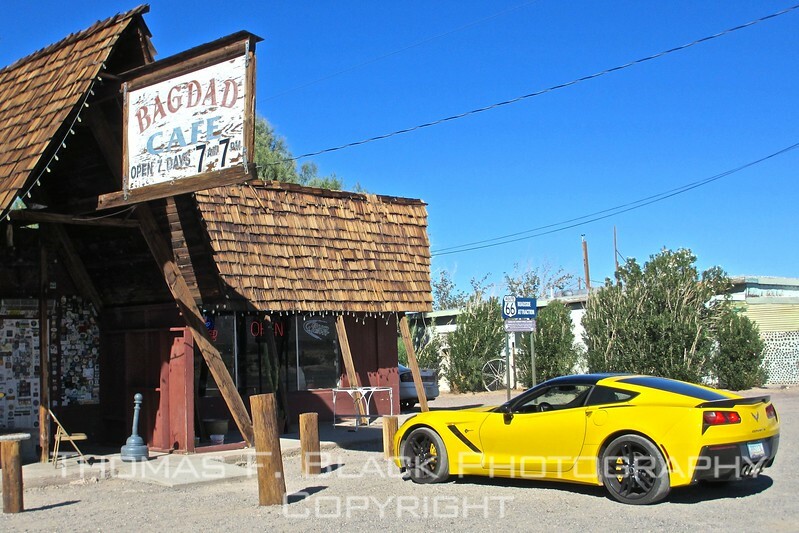 name of cafe , built in the 1950s, was changed in 1995. what caught my eye was the juxtaposition of the ramshackle building and the spanking-new corvette, in canary yellow, no less.